We’ve invested in cutting edge equipment, conducted extensive research, and staffed our team with individuals that are proven winners in the sports turf scene. All of this means that the services we offer are executed by knowledgeable people and done with equipment that is industry-best. What you see below are a few of the services that we recommend. If you find that you are already overwhelmed by all the sports field maintenance activities, you might want to consider a more practical approach for enjoying a faultless sports field. The artificial sports field will save you from endless maintenance activities and you do not have to spend hours in maintenance activities. So, would you want to enjoy more relaxed sports turf maintenance, the artificial sports turf is the way to go. However, for dozens of sports turf managers, the worry is how to get it right when it comes to maintenance of the sports field. In this article, I feature some of the things you need to consider when purchasing the artificial sports turf. Keep reading to find out. Is it a commercial sports field, a children’s play ground or clubs sporting ground? If It’s a school in need for somewhere for students kickabouts, the needs are different from a commercial sporting ground. Thus, long before you begin the sports turf project, you need a sit down to determine the purpose for which the sports ground will be used. In addition, you need to identify the sports that will be played on the sporting grounds. 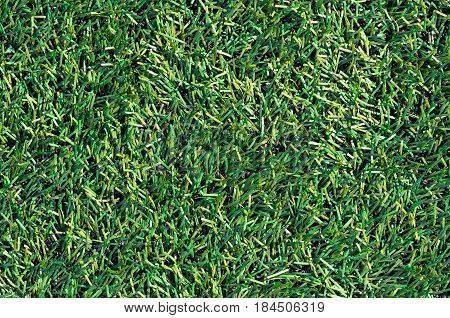 Synthetic grass varies depending on a number of factors. For sports field managers, this is somewhat the toughest decision to make in their career. You need to choose a high-quality sports turf. This is to be sure that you are getting optimal performance from your teams in the case of clubs sporting ground. Thus, do your research to be able to find the best artificial grass. Check out the online reviews and investigate the product range. You might seek assistance from an expert to be assured that you understand the different qualities available in the market. You know that the sporting ground varies in terms of dimension depending on the type of games to be played. The lay of the land also determines the cost of the sports turf. Consider the cost of ongoing maintenance remember that with artificial grass, you can save money as well as save time. It is easy to clean and doesn’t require mowing. Therefore, the relative cost of maintaining the artificial sports ground is low. Listed above are some of the factors you need to have in mind when purchasing the artificial sports turf. Contact Commonwealth sports Turf for the best artificial sports turf. Thousands of new sports ground in America are being done using the artificial sports ground turf. Field owners have shown a great enjoyment on the appearance of the field after installing the artificial turf. In addition, players show an improved performance as the field offers a great playability and longevity. Meet the field’s minimum requirements as set by professionals. Here are some basics you need before purchasing the artificial sports turf. Prior to making a purchase of the artificial sports turf, you need to understand that this is not a maintenance free system. Most buyers will go artificial thinking that it is the best for avoiding the fee paid for sports ground maintenance. The reality is that the artificial grass requires maintenance. It is important that the purchaser obtains the sports turf warranty and a set of guidelines when it comes to maintenance. You need to ask questions so as to understand the implications while also seeking to understand the requirements for all year maintenance. Another important factor to have in mind when making the purchase considerations is the extra in fill and the repair materials required. 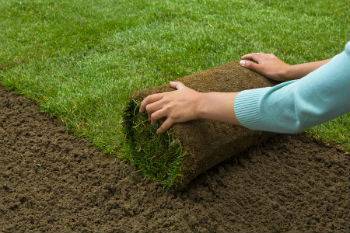 Do you need an extra synthetic turf? For the synthetic turf with an irrigation system, consult the irrigation specialist to ensure the system won’t cause the field to become oversaturated. 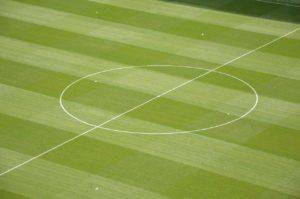 Who will be responsible for regular synthetic turf maintenance? This includes who will do the repairs, as well as the cost of repairs. The synthetic sports turf maintenance can be done by field owner who has own maintenance equipment and trained personnel to engage. Alternatively, the function is outsourced to experienced artificial turf maintenance companies. When it comes to sports turf maintenance, the field owner personnel require a high level training to ensure the investment lasts for long. A better alternative is hiring a qualified and equipped company to conduct maintenance of sports Turf. Contact commonwealth Sports Turf Services today for specialized maintenance of artificial Sports turf. The sports field should be well maintained irrespective of the season you are in. Therefore, whether a school field or your clubs sports field, it is important to know the all season artificial field maintenance tips. As you know, the artificial grass demands less maintenance compared to the natural grass fields. However, this does not mean you should not take good care of the artificial sports field throughout the season. In this article, we review some of the tips you need to have at your fingertips when it comes to taking care of the artificial grass in all seasons. Lets rock and roll! 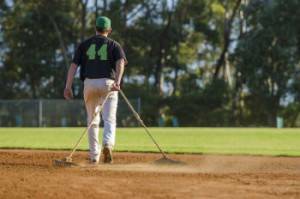 When it comes to taking care of your sports field, cleaning it is one of the basic approaches. Of course, being a low maintenance landscaping approach, cleaning the sports turf might mean just dusting it off. This is through the use of a garden hose and raking the leaves that fall off especially in summer. It is always a good idea to do this at least once a week for the busy sports turf and at least twice a month when it is less busy. If the artificial field is busier especially during the seasons when you have snow, you will notice that the synthetic field flattens out a bit since the last time you gave it some grooming. Just like the natural grass, the blades do flatten out a bit in the sports getting more traffic. Whereas this is normal grooming the artificial grass it will immediately look great again. Use a broom, a brush or a plastic lake to groom the synthetic grass. Mostly, weeds aren’t an issue when it comes to the synthetic grass. This is actually the reason why many people want to have the synthetic fields. However, it is possible having the weeds grow around the edges of the lawn. Keep checking for these weeds and remove them. The synthetic turf is a durable landscaping choice that lasts up to 20 years and above. If installed correctly, it will not require any pulling. Loosening or sagging spots will need to be repaired often. 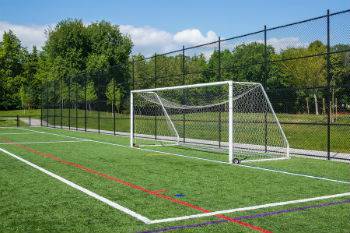 If the synthetic field is not in use for a prolonged period of time, adding a shade is a great maintenance tip. This is especially for the school fields where the field is not in use during summer holidays. Adding a shade to it is an important maintenance step. A maintenance expert will help in ensuring the sports field is well maintained throughout the seasons. He or she is trained in the best artificial care approaches. Are you looking for the best professional artificial grass maintenance expert? Contact us today. We have many years of experience providing all season sports turf care. Sports turf maintenance can sometimes become the most expensive and often it is a nightmare for the turf managers. There are various reasons as to why this is often the case. The most important thing in the sports turf maintenance career is being able to keep the field well maintained and at the budgeted amount. Here are some top tips for ensuring you maintain the sports turf within the stipulated budget. Just like in the other management roles, a sports turf maintenance manager needs to have a plan for the task. In the plan, you should ensure you set the priorities on the most important activities. In addition, during the planning, you ought to set thresholds and create a safety checklist. Part of the planning step is also the budgeting which involves deciding how much is to be spent on each of the sports turf maintenance steps. You need to ensure excellent communication during the planning session to ensure that the relevant departments are aware of the role tom play in the sports maintenance process. The sports field comprises different sporting sites. These are the sites where different teams will play and they need a specific maintenance program. To ensure the maintenance is done within the budget and to the right standards, you should plan the maintenance accordingly. This helps in ensuring that you take care of the sports turf in the appropriate manner such that each of the sub-sessions will be properly maintained. Examples of specific sites that need specific management include baseball and softball positional areas, in front of the mound, Doug-out areas, the entry and the exit points. These will need specific care. It is also important that you talk to a professional in sports turf maintenance to ensure everything is done within the budget. 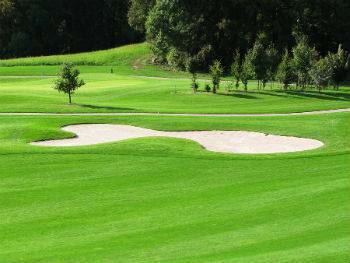 The specialist understands very well the specific points to look at when taking care of the sports field. As such, it is important for the sports turf managers to hire a qualified sports turf management company. For sports turf management, often it seems like purchasing the equipment will be expensive. However, you ought to ensure that you are using the right equipment for the job. This will, in the long run, lead to cost saving and results in a properly managed sports turf. Those are some of the tips you should follow when it comes to management of the sports turf. Ensure that you adhere to the set guidelines, adopt the plan and most importantly involve the right skill and equipment for the job. In the long-run, this will lead to cost saving. Looking for the best sports turf maintenance tips? Consult commonwealth sports turf services today. Artificial turf has become the most preferred by the sports turf managers. Ideally, the sports fields that have artificial turf don’t require too much maintenance which is cumbersome for many sports turf managers. Therefore, it becomes important that the sports turf manager should be trained on how to take good care of the artificial sports turf. In this article, we take a review on some of the most important artificial sports turf maintenance practices that sports turf managers should take note of. Keep reading to find out the sports turf maintenance basics you need to know. Infill material is one of the factors that determine how long a sports turf will last. For the artificial sports turf to continue looking healthy and well maintained, it is important that the sports turf managers keep checking the infill material. Therefore, whether the infill material is crumb rubber, rubber/sand, mix, cork or other modern material, these should be filled often. Consider the fact that while playing; an athlete will carry off up to four pounds of infill material during the playing season. 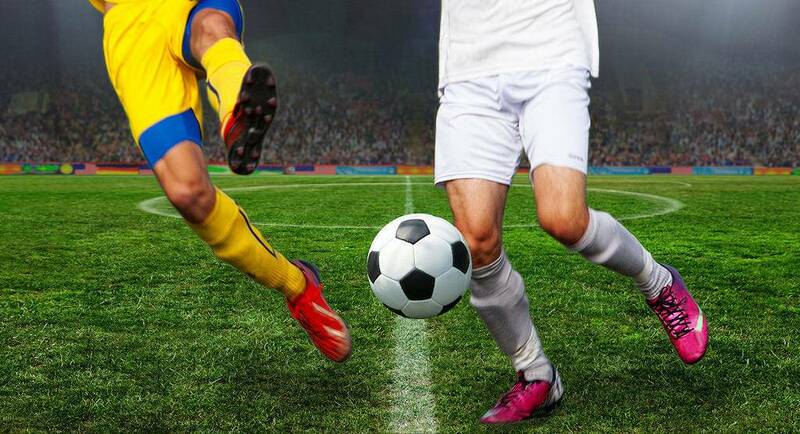 For example, the fields used during the 2018 FIFA Worldcup in Russia should be filled again since, by the end of the tournament, the sports turf will be worn out since the athletes playing on these fields take off the infill materials. Another threat factor to the infill material is the ultraviolet rays that emanate from the sun. By maintaining a proper amount of crumb rubber it is possible to protect the fibers from folding over which results due to a bad playing ground. Therefore to ensure that players enjoy a good playing ground, make sure that the infill material is well maintained and filled throughout the playing season. How your sports ground is groomed is a major factor when it comes to the overall appearance of the sports ground. Ideally, players appreciate a nice looking sports ground and able to give better results. It is important that while grooming, a groomer specially made for artificial sports turf should be used. While using the groomer, avoid lowering the entire weight of the groomer onto the sports turf, unless you want to level uneven sports ground. 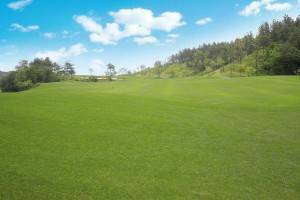 It is also recommended that after about 150 to 200 hours of sports ground use, it is groomed appropriately. Is your sports turf well maintained? Remember that maintaining your sports turf properly is important since it ensures that your sportsmen have a good playing ground. Overall, they will perform well and hence the sports club will win big just because of ensuring a good practicing environment and a nice, level, well maintained playing ground.